Congratulations to Harry Orr, a member of Athletic Essendon’s under 14 team. 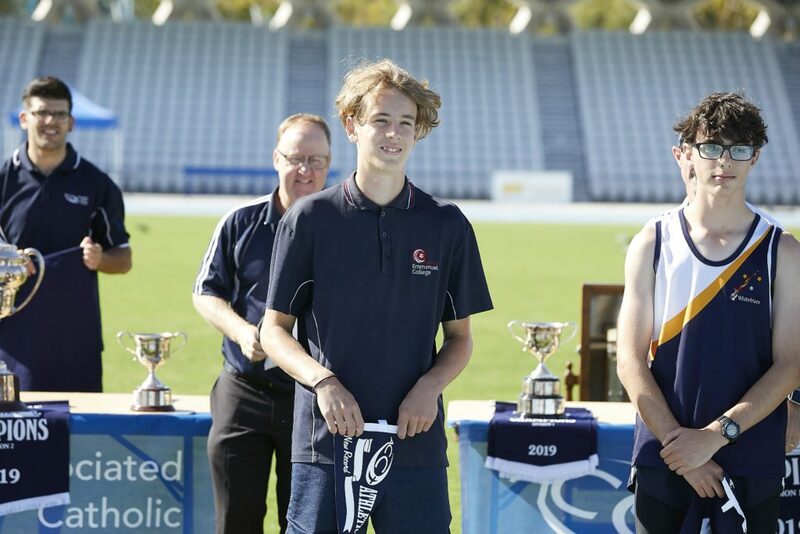 In the ACC Athletics carnival on Wednesday, Harry set a new meet record of 1.75m. on his way to winning the Under 14 high jump. Harry is currently the club’s under 13 high jump record holder with 1.74m and has his eye on one of the club’s many long standing records – the 1984 under 14 high jump record of 1.90m, held by Steven Orr! Harry’s work wasn’t finished on Wednesday – he also ran a 12.93s 100m, a 25.86s 200m, and a 56.89s 400m plus a relay. An amazing performance. Harry will be off to Sydney next week to compete in the high jump in the Australian Track & Field Championships. PrevPrevious ArticleOur athletes shine at the Queensland Track Classic.